The Load Condition Boundary Box was developed in conjunction with UIUC in Champaign Urbana Illinois. 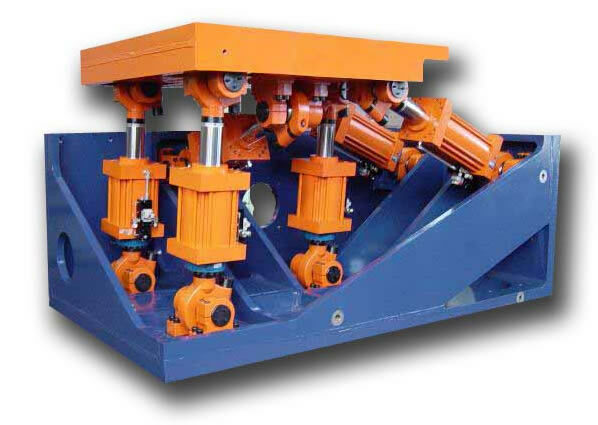 These units, typically used in pairs, mount to a strong wall, and can be used to load columns or beams in all six degrees of freedom. Our MDoF controller is now able to control one or a combination of two tables in cartesian coordinates, and rotate around any fixed origin in space in load or displacement control. The controller is also able to communicate with analytic models, or other tests using SIMCOR or OpenFresco. 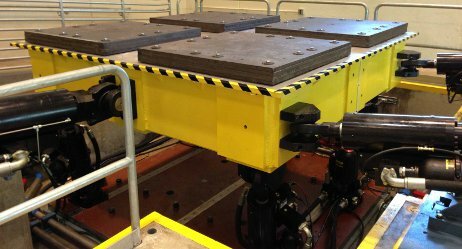 We manufacture tables with any number of degrees of freedom, and any axes, to perform earthquake, or static tests. 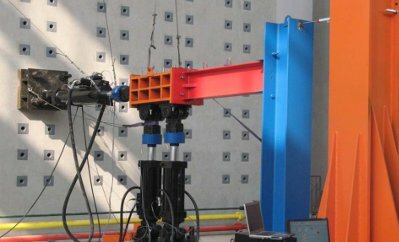 We have also built high velocity high force systems for testing building or bridge dampers. 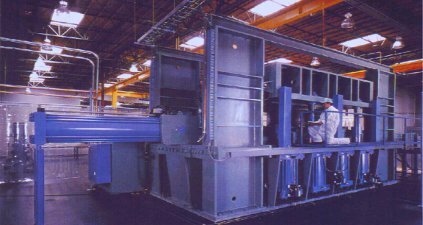 Our reliable and affordable Test Pro Components and load frames are used for many different applications in the automotive industry such as component fatigue, elastomers, shock absorbers, materials, and dedicated test stands. We are also able to custom build test stands for specific component tests. Our software is completely user programmable, so that you (or we) can build a custom turn-key user interface for your standard tests with very little effort. When you deal with Shore Western you will immediately notice a difference. While we do have standard systems and components that we can offer, we will not force you to buy from a catalog. We are here to meet your specific needs, and we will tailor solutions to fit your requirements. Real Time Adaptive control is not something we add as an option, it is included with all our controllers. This means that you can perform command optimization on everything from sine waves, to block programs to time histories without having to purchase additional software bundles. Multi-station capability is also included in every controller. There is no limit to the number of stations you can run, as long as you have the hardware to support them.